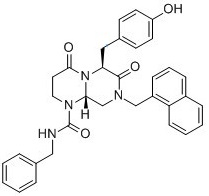 PRI-724, an isomer or enantiomer of ICG-001, is a potent, specific inhibitor of the canonical Wnt signaling pathway in cancer stem cells with potential antineoplastic activity. Wnt signaling pathway inhibitor PRI-724 specifically inhibits the recruiting of beta-catenin with its coactivator CBP (the binding protein of the cAMP response element-binding protein CREB); together with other transcription factors beta-catenin/CBP binds to WRE (Wnt-responsive element) and activates transcription of a wide range of target genes of Wnt/beta-catenin signaling. 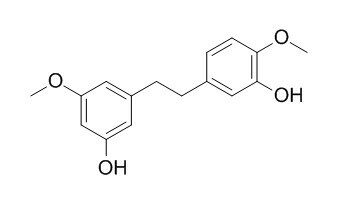 Note: ICG-001 and PRR-724 are not the same molecule, which are enantiomer isomers. Many vendors confused them.